Ah...again soo lovely cards! It is so hard to chose a number 1...all are great!! Congratulations everyone. I have voted. Good luck. Wow!! Hard to choose.. they are all so fantastic!!!! Congrats all, but vote for Solveig because she from Norden!! Good luck!! 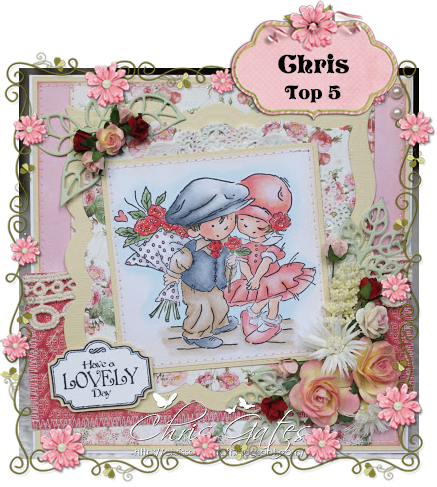 Great card, I have voted for Chris, that's my number one. Gorgeous creations and I have voted for my favourite. Of coarse you can vote!!! Voted for my favorite. Congrats to all. my vote for Karen, great card, All of them are lovely though. Stunning cards, all are gorgeous but Karen's is definitely my favourite. All the cards are very pretty! 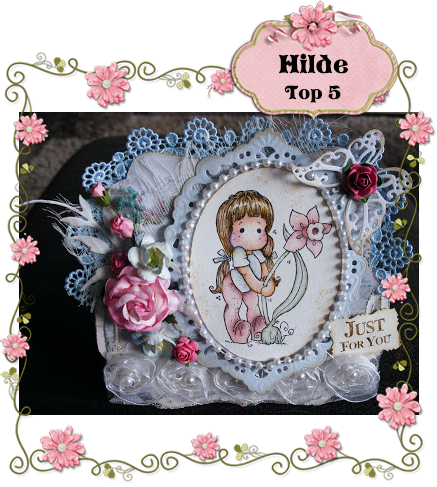 Ofcourse all top 5 cards are very pretty, compliments to you all but I have just voted for Cinzia, love her colouring and sweet image. Gorgeous! I gave Sol my vote for her lovely card! Wow that was another tough vote. All these cards are just gorgeous. I ended up going with Solvieg. That image she used and how beautifully it was coloured just kept pulling me back to her card. Well done ladies! What a beautiful cards. 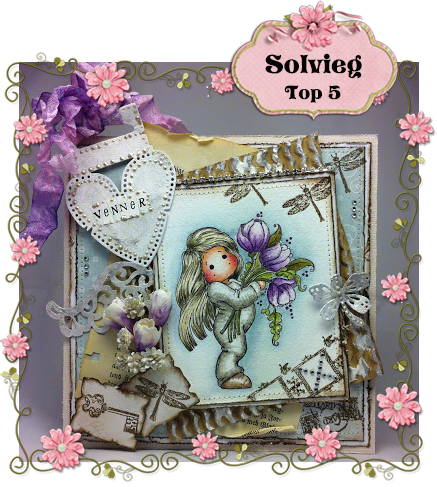 I give Solvieg my vote for the lovely card. 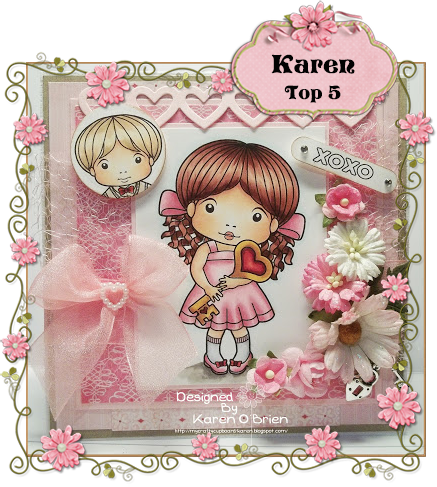 I vote for Karen, I love La-La Land images and her card displays Marci and Luka fabulously. Beautiful creations but my vote has to go to Karen for the unique idea of adding the little boy image in the top corner! Loving the Lala land images too. Good luck and congratulations to those in the top 5. These are all gorgeous! Congratulations on being in the top five. I vote for Solveigs card. I love the colours.